Malic acid, a naturally occurring compound, is found in abundance in fruits and vegetables, especially tart, unripe apples and grapes where it gives a tart taste to wine. Because of this tartness, malic acid is commonly used as an economical food additive and flavor enhancer in foods such as sour candies, yogurts and fruit flavored drinks. As a result of its ability to block bacterial growth, malic acid is often used as a natural food preservative to prolong shelf life. Malic acid is essential ingredient in many OTC medications including throat lozenges and cough syrup, and is often found in mouthwash and toothpaste, where is helps to reduce dental decay and gum disease through its ability to stimulate saliva production. As an alpha hydroxy acid, malic acid is often found in anti-aging skin care products. Applied topically, malic acid helps to rejuvenate the skin by removing dead skin cells and boosting collagen production, while unclogging pores, improving skin texture and reducing the appearance of fine lines and wrinkles. Often added to shampoos and hair conditioners, malic acid, helps to achieve an optimal acid-base pH balance. When taken as a supplement in appropriate amounts, malic acid’s health benefits include immune enhancement, oral health maintenance, and increased energy production. Perhaps most importantly, included in the impressive list of beneficial uses, is the ability to help reduce pain. Along with increased energy production, pain reduction is frequently sought by those who suffer from chronic fatigue syndrome and fibromyalgia. In the U.S., it is estimated that 100 million people may struggle with chronic pain. Of these, approximately 10 million, mostly women, may be diagnosed with fibromyalgia. Those with fibromyalgia suffer from extreme fatigue that can interfere with normal life activities, and with widespread often debilitating chronic pain. Malic acid is a completely, natural organic compound present in all bodily cells that provides a natural alternative for healing and relieving pain. Malic acid plays a vital role in improving overall muscle performance, reversing muscle fatigue following exercise, reducing tiredness and poor energy levels and improving mental clarity. While non-life threatening, fibromyalgia is chronic, and its symptoms vary widely from person to person, and may even fluctuate in a single individual. In most cases the symptoms never entirely disappear, and currently, while there are medical interventions, there is no cure. However proper self-care, including getting sufficient sleep and regular aerobic exercise, can improve symptoms and aid daily function. Those who consistently take malic acid in the form of magnesium malate have reported reduced muscle pain and soreness, along with a much needed energy boost. Magnesium malate is a blend of a highly absorbable form of magnesium, essential for cellular function, and malic acid, a completely natural substance that supports ATP energy production and reduces excess pain-causing lactic acid buildup in the muscles. Research has shown that malic acid can help to ease pain caused by muscle and tissue hypoxia or insufficient oxygen levels in muscles. 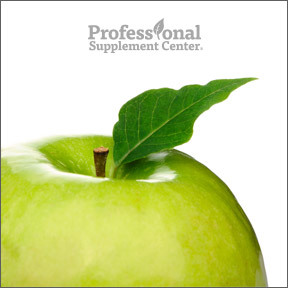 Even under low oxygen conditions, malic acid enhances cellular stamina and endurance by supporting ATP production. Aluminum toxicity is believed to play a role in fibromyalgia. In combination with magnesium, malic acid aids aluminum detoxification and helps prevent future aluminum buildup in the body. A number of specialists who have treated patients with a combination of magnesium and malic acid have found improved muscle heath and improved energy. A case controlled study concluded that proper amounts of the essential nutrients magnesium and malic acid are critical to efficient energy production. Deficiencies in these nutrients may give rise to an inefficient anaerobic means of generating energy, resulting in an abnormal buildup of lactic acid causing muscle achiness and fatigue. In addition, researchers found that the pain relieving, energy producing, and mood stabilizing qualities of magnesium and malic acid can be particularly beneficial for people with fibromyalgia and chronic fatigue syndrome. Myo Malate by Ortho Molecular – This formula combines magnesium malate, malic acid and vitamin B6 to support enhanced endurance and stamina and reduce pain and fatigue in those with fibromyalgia. Gluten and soy free formulation. Mag-Malate (MGM) by Douglas Laboratories – This product provides a highly bioavailable form of magnesium plus malic acid to support mitochondrial energy production and neuromuscular function. Soy free, vegan formulation. Magnesium Malate by Designs for Health – This formula provides di-magnesium malate, a highly bioavailable form of magnesium bound to malic acid in support of energy production. Gluten free, Non-GMO formulation. Magnesium Malate 1000 mg by Now Foods – This product provides magnesium malate along with calcium carbonate in support of energy production and metabolism, muscle contraction, nerve impulse transmission and bone mineralization. Gluten and soy free, Non-GMO vegan formulation. This entry was posted in Home and tagged Chronic Pain? Fatigue? Try Malic Acid, fibromyalgia, Mag-Malate (MGM) by Douglas Laboratories, Magnesium Malate 1000 mg by Now Foods, Magnesium Malate by Designs for Health, malic acid, Myo Malate by Ortho Molecular, Professional Supplement Center, Vitamins and supplements, www.professionalsupplementcenter.com. Bookmark the permalink.